Landlocked due to wars with its neighbours, with less than 11 million people, and one of the largest indigenous populations in South America, Bolivia captivated me for the full 30 days of my tourist visa. What was originally a two week visit and a tour of the Uyuni salt flats found me counting the days and googling the consequences of overstaying my limit. Luckily, being an agile traveler, I could do that. My time in Bolivia was a game of communication dominoes. 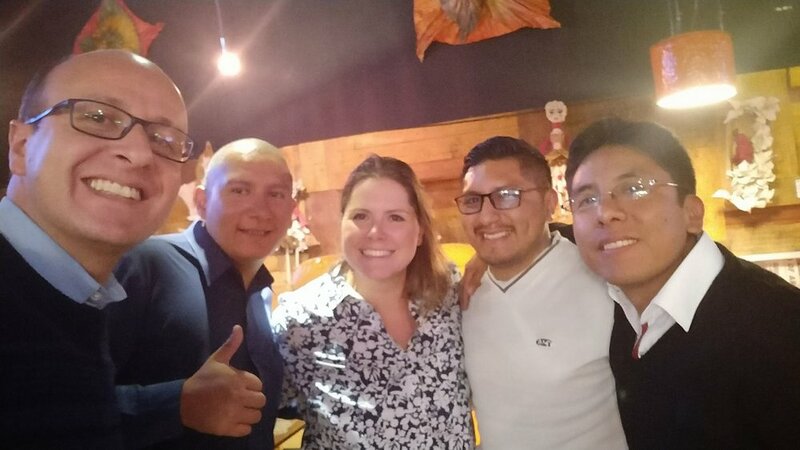 One text message from a new PMI friend in Arequipa, Peru, to his PMI contact in Bolivia and a few days later I was dining with the La Paz PM community and discussing how they use current events to demonstrate project management techniques. This photo below posted to Facebook led to a message from Cristian Soto, PMP, member of the PMI Santa Cruz chapter. Before I knew it, I was in Cochabamba giving a presentation to fifteen project managers about travelling in project mode. The close-knit project management community in South America provided me with endless opportunities to discover the real Bolivia. Read the full article on PMI-Montreal's blog here. Newer PostHow I project managed everyone to death: A New Zealand road trip story. Older PostProject Management in Peru: The Password is "PMI"